Bio-engineered JetPak massages in your favorite seats. The only hot tub customized just for you. 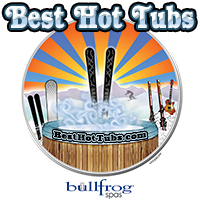 Bullfrog Spas are the world’s only luxury hot tubs equipped with the patented JetPak Therapy System. The interchangeable JetPaks are modular hot tub jets that can placed in different locations in the A Series and R Series hot tubs. The JetPak Therapy System® delivers incredible power, maximum massage versatility, and allows you to upgrade your spa’s jetting with new JetPaks anytime. Bullfrog Spas are built using the EnduraFrame support structure, which is 100% wood-free. This structure is precision engineered and formed. All human error is removed from the construction process and each Bullfrog Spa fits together perfectly. Only Bullfrog Spas gives you this many choices to personalize your spa. More choices means you’ll relax better, in seats set up just the way you like. Our uniquely bio-engineered JetPak massages mean you get therapy exactly where you need it. Conventional hot tubs may cost you less in the beginning but far more in electricity costs over time. Only Bullfrog Spas offer the energy efficiency of full foam, less plumbing and the JetPak Therapy System. Why would you settle for less? SpaDesign allows you to choose the energy saving spa model you want, the JetPaks you need, and a color combination that compliments your home and landscape.